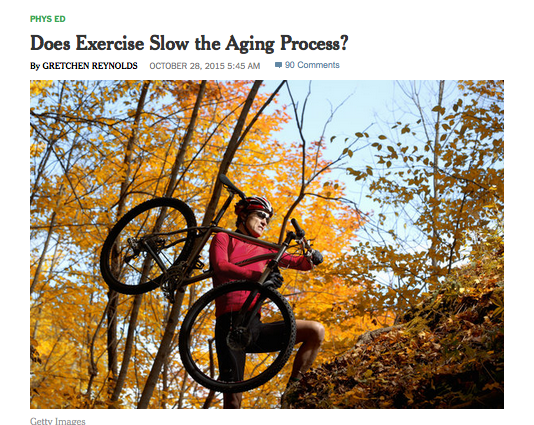 In this morning’s New York Times, they wrote about how exercise was proven to keep you younger. The proxy they use for being younger is telomere length – which as a leading proponent of this theory, I support. This must be a sign that telomere as the mechanism of aging is become a genuine meme. 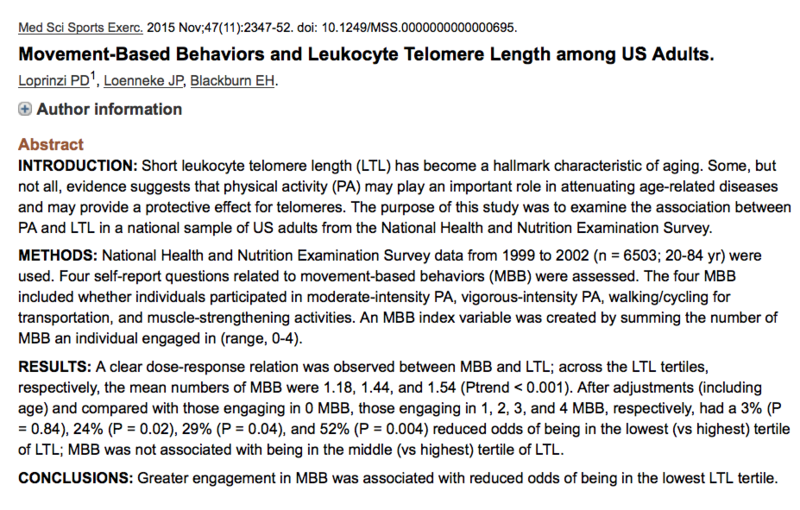 A few observations: the scientists and journalist assume that telomere length is a proxy for aging. We all know that exercising keeps you younger. Now can we call just get to the point where we understand that telomere health is the mechanism of all that is good or bad in our stem cells and health? As I like to say, there is only one disease with many faces and that the cure, telomerase, is always working to reverse aging- it just needs help from us. If you would like to explore my ideas on exercise and telomere length, please check out my 11th podcast on the subject.